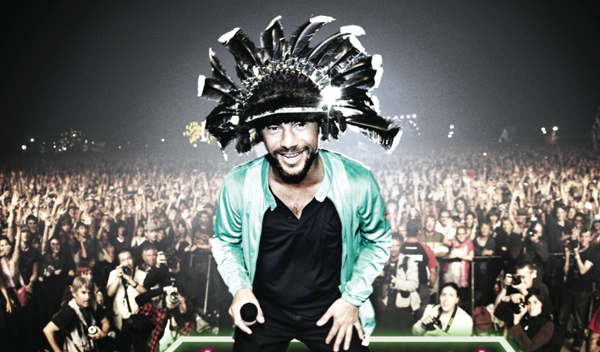 Multi-Platinum, Grammy-Award Winning, acid-funk band Jamiroquai have sold more than 40 million albums worldwide. Among the host of accolades they have picked up over the years, perhaps no legacy is as great as their timeless, disco-infused, acid-funk sound and Jay Kay’s signature, soulful voice. An international music and fashion icon, Jay Kay is known the world-over for producing hit after hit throughout his illustrious 20+ year career. His latest album, “Rock Dust Light Star” is a dutifully blended mix of his electronic leanings and the roots-based soul of his earlier work. The lead single “White Knuckle Ride” is vintage Jamiroquai: a funk-infused acid-disco jam, with instant hooks and a high-octane refrain. Angry Mob exclusively represents Jamiroquai’s “Rock Dust Light Star” master recordings for synchronization.